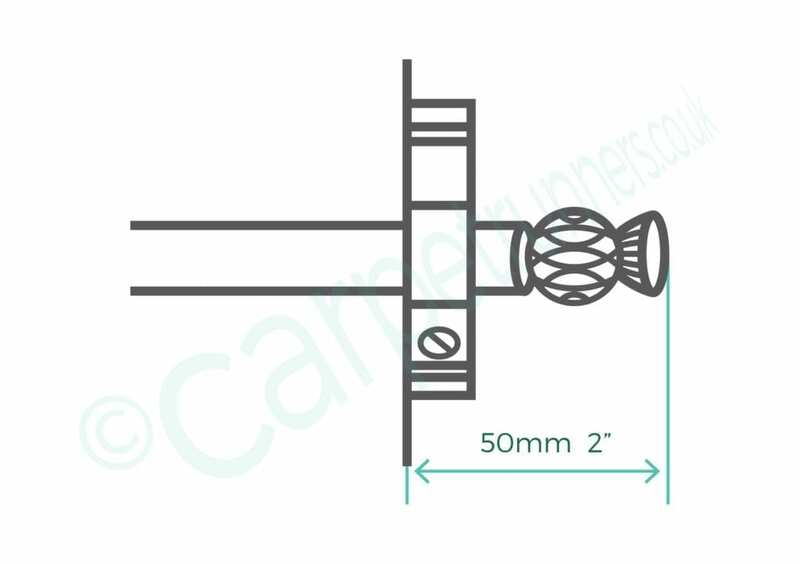 Choice of two diameters of cylindrical rod: 12mm (1/2″) and 16mm (5/8″). 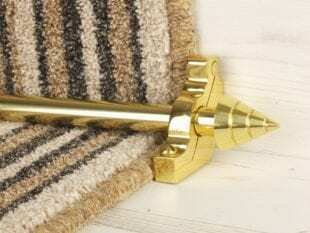 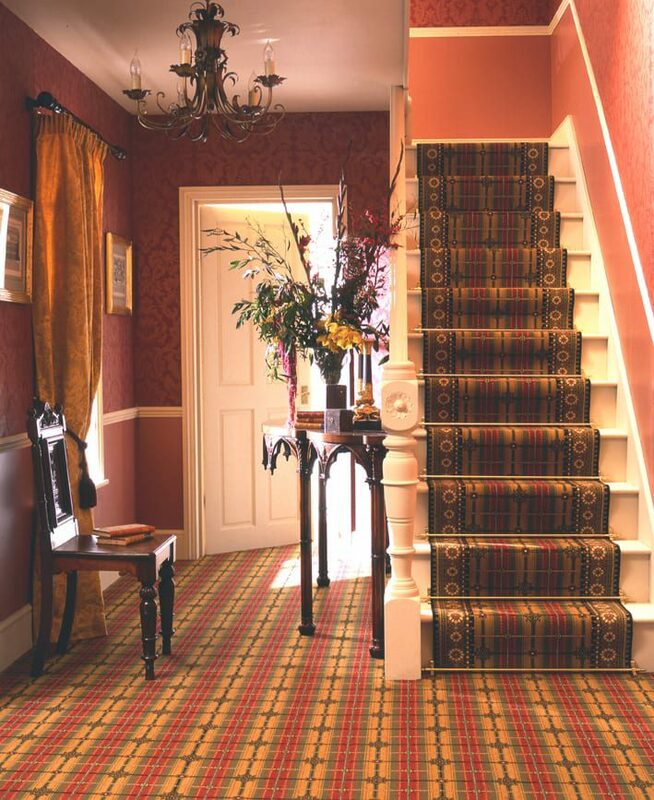 Suitable for fitting on stair runners or fitted carpets (Front Fix) – simply choose the relevant option when ordering. 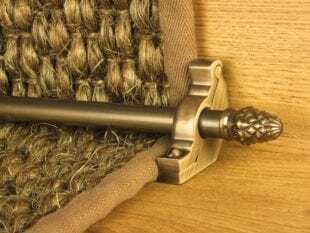   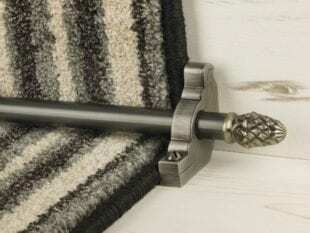 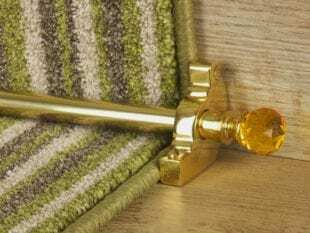  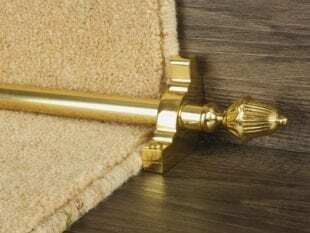 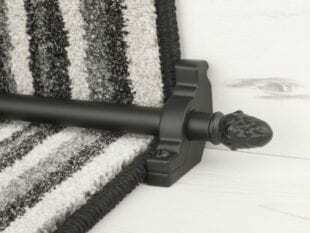 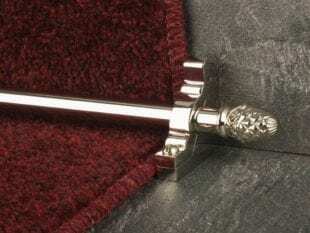 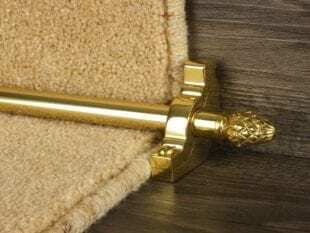 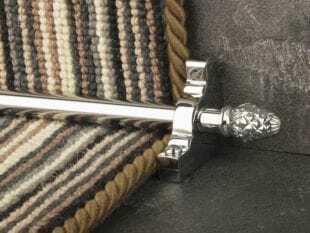 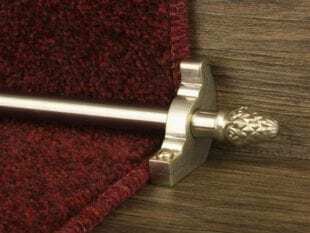 It is important to note that, like other stair runner rods, the Sherwood carpet runner rods are purely decorative and do not fix the carpet to the stairs; a stair runner must be secured by another means of installation such as gripper. 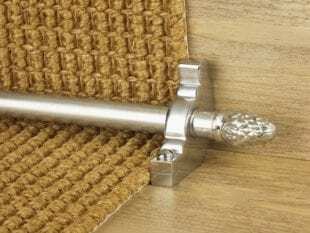 Fitted carpet Front Fix brackets: place the rod on the stair carpet and place the Front Fix brackets over the rod face, screwing them through the carpet. 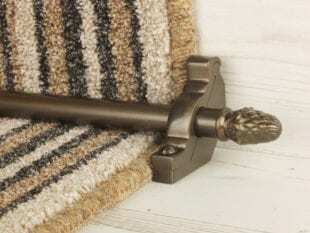  We recommend that you leave at least a 25-50mm (1-2″)gap between the stringboard (side of staircase) and tip of the rod, on both sides of the staircase.